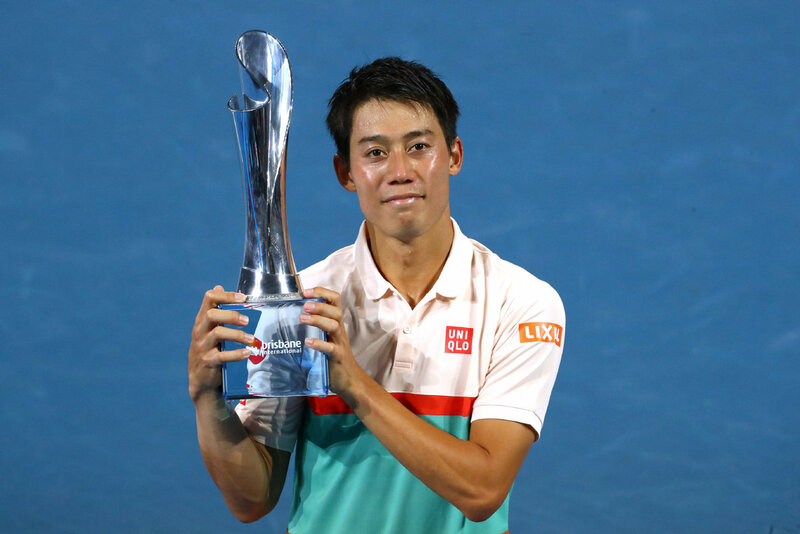 BRISBANE, Australia -- Kei Nishikori won his first ATP title since Memphis in 2016 with a dominating final set to beat Daniil Medvedev 6-4, 3-6, 6-2 in the Brisbane International final on Sunday. The 2014 US Open finalist served for the match at 5-1 in the third set, but Medvedev earned a temporary reprieve when he broke the Japanese player's serve to extend the match. Earlier, Karolina Pliskova won her second Brisbane title, beating Lesia Tsurenko 4-6, 7-5, 6-2 after coming within just two points of defeat. Serving for the title at 5-4 Sunday, Tsurenko lost 13 straight points. It came after Tsurenko rolled her ankle in the second game of the deciding set. Tsurenko was 4-0 in her previous WTA finals. Pliskova won her first Brisbane title two years ago. Pliskova improved her record in Brisbane to 13-2 and joined Victoria Azarenka (2009, 2016) and Serena Williams (2013-14) as the third woman to win the tournament twice.